Dans ce domaine, j'ai analysé les facteurs de personnalité antécédents et les facteurs contextuels qui influencent la perception des comportements déviants au lieu de travail et de prise de décision économique. Un de mes thèmes de recherche est la compréhension de la façon dont les individus diffèrent dans le traitement de l'information émotionnel et de la manière dont ces différences peuvent être liées à divers effets comportementaux. J'applique cette approche pour étudier la base cognitif et émotionnel de l'intelligence émotionnelle (IE). L'idée de base est que la distinction entre le traitement automatique et conscient dans l'expérience émotionnelle est essentielle à la fois pour comprendre la dynamique psychologique de L'IE et pour expliquer le variabilité dans le comportement basé sur les émotions. Mon activité dans ce domaine est liée à la compréhension du rôle des différents aspects émotionnels sur la perception et le jugement biaisé. Udayar Shagini, Fiori Marina, Thalmayer Amber ; Rossier Jérôme (2018). Investigating the link between trait emotional intelligence, career indecision, and self-perceived employability: The role of career adaptability. Personality and Individual Differences, 7-12. Vesely Maillefer Ashley, Udayar Shagini ; Fiori Marina (2018). Enhancing the Prediction of Emotionally Intelligent Behavior: The PAT Integrated Framework Involving Trait EI, Ability EI, and Emotion Information Processing. Frontiers in Psychology, 1078. Fiori M. , Shuman V. (2017). The Joint Contribution of Activation and Inhibition in Moderating Carryover Effects of Anger on Social Judgment. Frontiers in Psychology, 8, 1435. Fiori M., Krings F., Kleinlogel E. ; Reich T. (2016). Whose Side Are You On? Exploring the Role of Perspective Taking on Third-Party's Reactions to Workplace Deviance. Basic and Applied Social Psychology, 38, 318-336. Johnston C. S., Krings F., Maggiori C., Meier L. L. ; Fiori M. (2016). Believing in a personal just world helps maintain well-being at work by coloring organizational justice perceptions. European Journal of Work and Organizational Psychology, 25, 945-959. Fiori M. (2015). Emotional intelligence compensates for low IQ and boosts low emotionality individuals in a self-presentation task. Personality and Individual Differences, 81, 169-173. Fiori M., Bollmann G. ; Rossier J. (2015). Exploring the path through which career adaptability increases job satisfaction and lowers work stress : the role of affect. Journal of Vocational Behavior, 91, 113-121. Fiori M., Antonietti J.-Ph., Mikolajczak M., Luminet O., Hansenne M. ; Rossier J. (2014). What is the ability emotional intelligence test (MSCEIT) good for? An evaluation using item response theory. PLoS ONE, 9, e98827. Fahim C., Fiori M., Evans A. ; Pérusse D. (2012). The relationship between social defiance, vindictiveness, anger and brain morphology in 8-year-old boys and girls. Social Development, N/A. Fiori M. (2012). Personality dynamics through the lens of cognitive neuroscience. The APS Observer, –. Fiori M. , Kres M. (2012). L'employabilité, bientôt une coquille vide?. HR Today, 38-39. Kres M. , Fiori M. (2012). Wohin ist bloss die Employability verschwunden?. HR Today, N/A. Fiori M. (2010). Senso di incertezza.. mancanza di progettualità.. crisi di identità? Benvenuti nel postmodernismo. [Uncertainty..lack of plans for the future..identity crisis? Welcome into postmodernism]. Items – Giunti Organizzazioni Speciali, Firenze., –. 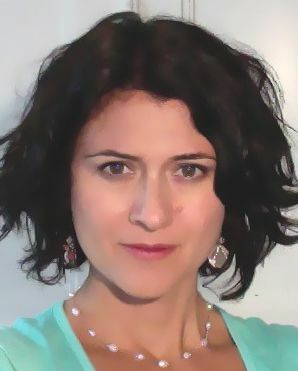 Fiori M. (2009). A New Look at Emotional Intelligence: A Dual-Process Framework. Personality and Social Psychology Review, 13, 21-44. Cervone C., Caldwell T.L., Fiori M., Orom H., Shadel W.G., Kassel J.D. ; Artistico D. (2008). What underlies appraisals? Experimentally testing a Knowledge-and-Appraisal Model of Personality Architecture among smokers contemplating high-risk situations. Journal of Personality, 76, 929-968. Cervone D., Shadel W.G., Smith R. ; Fiori M. (2006). Self-Regulation: Reminders and Suggestions from Personality Science. Applied Psychology: an International Review, 55, 333-385. Cervone D., Shadel W.G., Smith R.E. ; Fiori M. (2006). Self-Regulation and Personality Science: Reply to the Commentaries. Applied Psychology: an International Review, 55, 470-488. Violante F.S., Fiori M., Fiorentini C., Risi A., Garagnani G., Bonfiglioli R. ; Mattioli S. (2004). Associations of Psychosocial and Individual Factors with Three Different Categories of Back Disorder among Nursing Staff. Journal of Occupational Health, 46, 100-108. Fiori M. , Vesely Maillefer A. (in press). Emotional Intelligence as an Ability: Theory, Challenges, and New Directions. Handbook of emotional intelligence in education. K. V. Keefer, J. D. A. Parker, & D. H. Saklofske, New York: Springer. Fiori M., Lintas A., Mesrobian S. ; Villa A. E. P. (2013). Effect of Emotion and Personality on Deviation from Purely Rational Decision-Making. Decision Making and Imperfection (Vol. 474, pp. 129-161). Springer Berlin Heidelberg. Fiori M. (2011, Jan). Ironic effects of anger inhibition in impression formation. Paper presented at The XII the International Congress of Psychology, Istanbul, Turkey, July 2011. Villa A., Fiori M., Mesrobian S., Lintas A., Shaposhnyk V. ; Missonnier P. (2011, Jan). Effect of emotion on the imperfectness of decision making. Proceedings of the 2nd International Workshop on Decision Making with Multiple Imperfect Decision Makers. Fiori M., Krings F. ; Kleinlogel E. P. (2014, Jan). Mind your perspective: How perspective taking shapes perception of norm-violating actions. Personality and Individual Differences, 60, Supplement (pp. S36). Fiori M. (2012, Jan). On the fluid and crystallized components of emotional intelligence. Symposium title: Is Emotional Intelligence a measurable construct? 24th Annual Convention of the Association for Psychological Science (APS). Chicago, IL May24-27, 2012. Fiori M. Antonietti J.P. Mikolajczac M. Luminet O. & Rossier J. (2012, Jan). An item response theory analysis of the ability emotional intelligence test (MSCEIT). 16th European Conference on Personality, Trieste July 10-14, 2012. La subvention Tremplin, financée par le Programme fédéral Egalité des chances, a pour objectif d'accroître le nombre de femmes susceptibles de poser leur candidature aux postes de professeur-e-s.